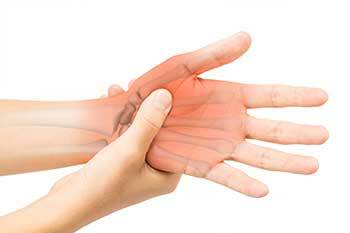 We provide care of all upper extremity fractures and the majority of soft tissue injuries and conditions. Dr. Bomberg was trained at the Medical University of South Carolina. While in training he rotated with the Hand Surgery service providing full hand surgery services including reimplantation for the southeastern seaboard. In Steamboat Springs, Dr. Bomberg has worked closely with Dr. Charles Hamlin. Dr. Hamlin started Hand Surgery Associates in Denver, CO and still has a home in the area. In our Steamboat Springs office, we provide a full range of minor hand surgery procedures in the comfort of our office surgery suite. These are done as outpatient surgical procedures. Dr. Bomberg has been a member of the American Foot and Ankle Society and is proud to provide conservative and surgical care of this region of the body. We provide a full range of radiographic services including standing x-rays to evaluate your condition. We can use orthotics, temporary or permanent, and prescribe many custom combination orthotic/shoe treatments for any foot and ankle condition including diabetes. We have casting and fracture orthotics for the full range of foot and ankle trauma. Most of our foot and ankle surgery such as bunion and hammertoe surgery is performed as outpatient hospital procedures. However, many minor foot and toe conditions, such as ingrown nails, can be cared for in the comfort of our office surgical suite. Osteoarthritis, more commonly known as Arthritis, is a common condition we see and treat both medically and surgically. It is estimated that 40 million Americans and 70 to 90 percent of persons older than 75 years are affected by osteoarthritis. Although symptoms of osteoarthritis occur earlier in women, the prevalence among men and women is equal. 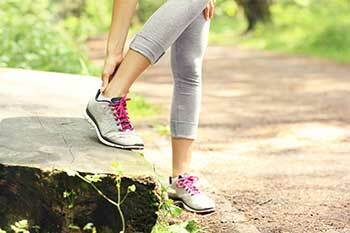 In addition to age, risk factors include joint injury, obesity, and mechanical stress. The diagnosis is largely clinical because radiographic findings do not always correlate with symptoms.